Calgary Personal Training, Health, and Fitness | NEW Location! We’re excited to announce that Jensen Fitness is now located at 16-12110 40 St SE: the sign is up we’re open! We’d like to give A BIG THANK YOU to everybody that has supported us along the way! 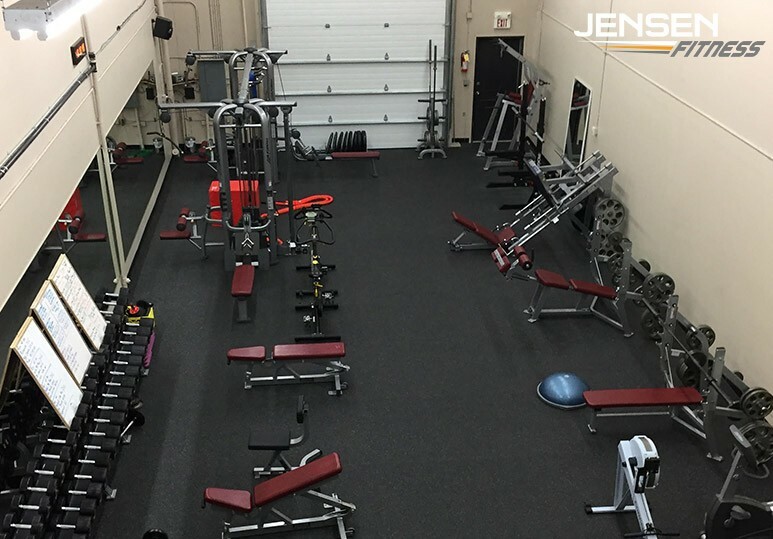 While we’re now in a different location, the Jensen Fitness Team holds the same dedication to creating a positive and motivating training experience that moves our clients towards their health and fitness goals. You can expect to see the same amazing transformations, along with empowering expert advice on workouts and nutrition. We’d like to invite both returning and new clients to come and check out our new location, and stay tuned for information about our grand opening! Imagine how amazing your fitness results can be when you know EXACTLY what's going on with your body. With the fit 3D body scanner, you can say goodbye to measuring tapes and calipers and gain more insight into your fitness journey than ever before. Together, these key features bring unparalleled results. When it comes to measuring your progress, body composition analysis is one of the surest ways to determine whether or not you’re on track. With the Fit3D body scanner’s precise measurements of a broad range of metrics, you can easily gain insight into your weight, lean body mass, and general body measurements. Getting fit isn’t just about a number on the scale or changing your appearance: your health and fitness are intertwined. That’s why Fit3d Body Scanner doesn’t stop at just giving you a breakdown of your body measurements. Instead, it analyzes where you are carrying fat and assesses potential health risks. This extra dimension of analysis is especially useful for anyone who wants to monitor their risks for conditions such as heart disease. Even the most functional tool can be unappealing and less than helpful if it’s clunky or difficult to use. The Fit3D body scanner is simple and streamlined from start to finish and makes it easy for you to stay on track with your goals due to its unprecedented convenience. A scan takes just 40 seconds and logs your results on an easy-to-access cloud reporting program. This makes it easy for you to view and compare reports and ensures that both you and your personal trainer are always on the same page. Finally, the ability to accurately track and view how your workouts are impacting your measurements can also keep you inspired and motivated while also empowering you to “train smart”. With the Fit3D’s metrics, a personal trainer can help you design more efficient workouts tailored to your needs. To experience this powerful new tool in health and fitness, contact us to schedule a complimentary consultation.